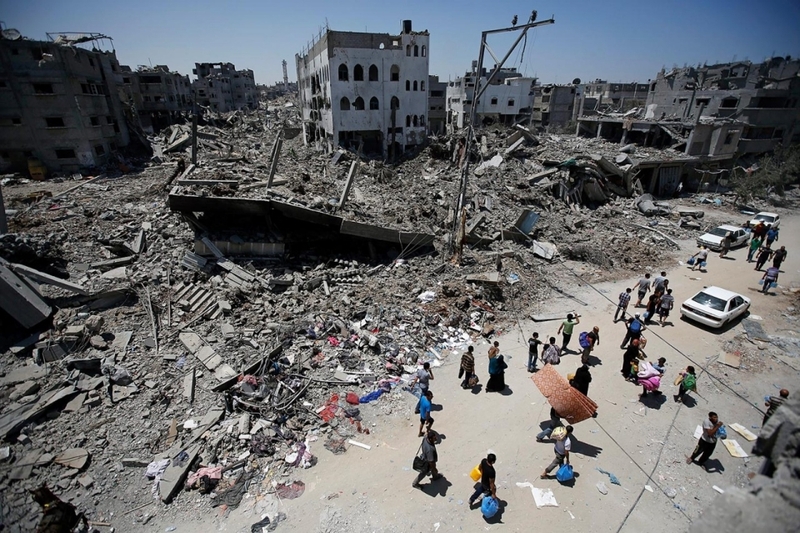 Shujaiyya, Gaza, August 1, 2014. Photo: Mohammed Saber. 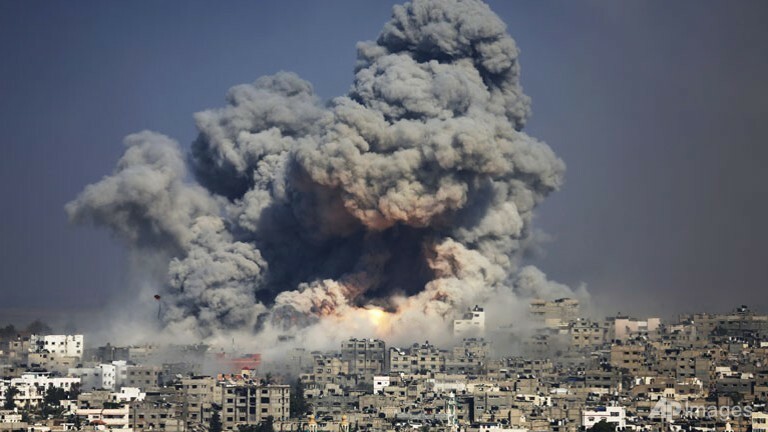 Gaza is far from its relatives and close to its enemies, because whenever Gaza explodes, it becomes an island and it never stops exploding. It scratched the enemy’s face, broke his dreams and stopped his satisfaction with time. Because in Gaza time is something different. Because in Gaza time is not a neutral element. It does not compel people to cool contemplation, but rather to explosion and a collision with reality. Time there does not take children from childhood to old age, but rather makes them men in their first confrontation with the enemy. Time in Gaza is not relaxation, but storming the burning noon. Because in Gaza values are different, different, different. The only value for the occupied is the extent of his resistance to occupation. That is the only competition there. Gaza has been addicted to knowing this cruel, noble value. It did not learn it from books, hasty school seminars, loud propaganda megaphones, or songs. It learned it through experience alone and through work that is not done for advertisement and image. Gaza has no throat. Its pores are the ones that speak in sweat, blood, and fires. Hence the enemy hates it to death and fears it to criminality, and tries to sink it into the sea, the desert, or blood. And hence its relatives and friends love it with a coyness that amounts to jealousy and fear at times, because Gaza is the brutal lesson and the shining example for enemies and friends alike. Gaza is not the most beautiful city. Its shore is not bluer than the shores of Arab cities. Its oranges are not the most beautiful in the Mediterranean basin. Gaza is not the richest city. It is not the most elegant or the biggest, but it equals the history of an entire homeland, because it is more ugly, impoverished, miserable, and vicious in the eyes of enemies. Because it is the most capable, among us, of disturbing the enemy’s mood and his comfort. Because it is his nightmare. Because it is mined oranges, children without a childhood, old men without old age and women without desires. Because of all this it is the most beautiful, the purest and richest among us and the one most worthy of love. 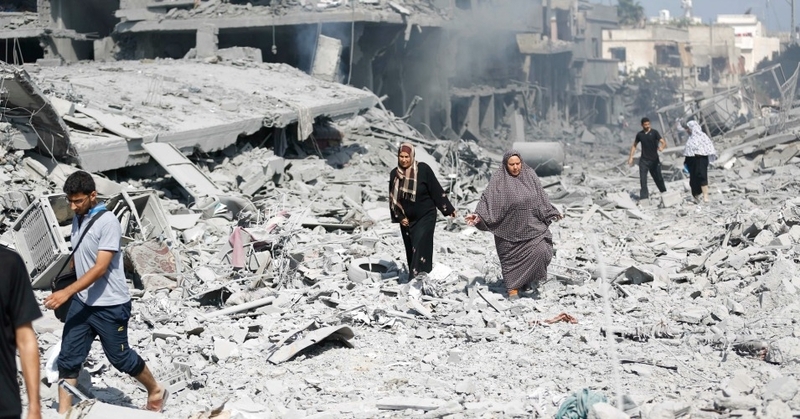 We do injustice to Gaza when we look for its poems, so let us not disfigure Gaza’s beauty. What is most beautiful in it is that it is devoid of poetry at a time when we tried to triumph over the enemy with poems, so we believed ourselves and were overjoyed to see the enemy letting us sing. We let him triumph, then when we dried our lips of poems we saw that the enemy had finished building cities, forts and streets. We do injustice to Gaza when we turn it into a myth, because we will hate it when we discover that it is no more than a small poor city that resists. We do injustice when we wonder: What made it into a myth? If we had dignity, we would break all our mirrors and cry or curse it if we refuse to revolt against ourselves. We do injustice to Gaza if we glorify it, because being enchanted by it will take us to the edge of waiting and Gaza doesn’t come to us. Gaza does not liberate us. Gaza has no horses, airplanes, magic wands, or offices in capital cities. Gaza liberates itself from our attributes and liberates our language from its Gazas at the same time. When we meet it – in a dream – perhaps it won’t recognize us, because Gaza was born out of fire, while we were born out of waiting and crying over abandoned homes. It is true that Gaza has its special circumstances and its own revolutionary traditions. But its secret is not a mystery: Its resistance is popular and firmly joined together and knows what it wants (it wants to expel the enemy out of its clothes). The relationship of resistance to the people is that of skin to bones and not a teacher to students. Resistance in Gaza did not turn into a profession or an institution. It did not accept anyone’s tutelage and did not leave its fate hinging on anyone’s signature or stamp. It does not care that much if we know its name, picture, or eloquence. It did not believe that it was material for media. It did not prepare for cameras and did not put smiling paste on its face. Neither does it want that, nor we. Hence, Gaza is bad business for merchants and hence it is an incomparable moral treasure for Arabs. What is beautiful about Gaza is that our voices do not reach it. Nothing distracts it; nothing takes its fist away from the enemy’s face. Not the forms of the Palestinian state we will establish whether on the eastern side of the moon, or the western side of Mars when it is explored. Gaza is devoted to rejection… hunger and rejection, thirst and rejection, displacement and rejection, torture and rejection, siege and rejection, death and rejection. 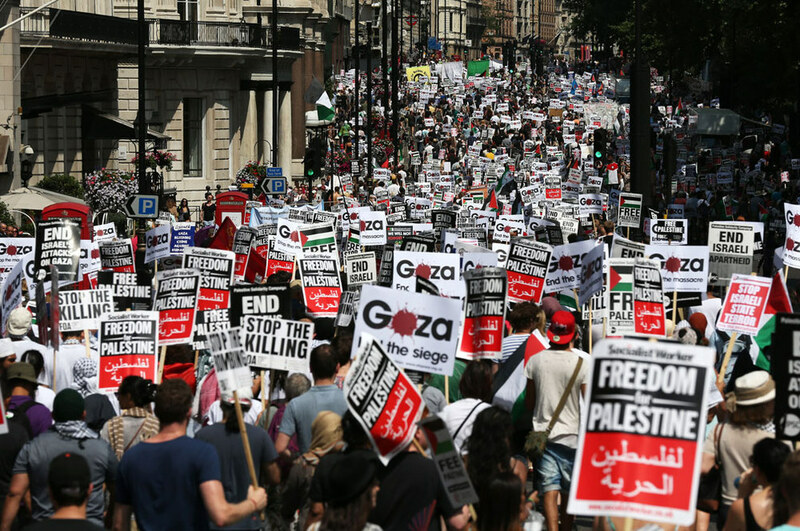 Enemies might triumph over Gaza (the storming sea might triumph over an island… they might chop down all its trees). They might break its bones. They might implant tanks on the insides of its children and women. They might throw it into the sea, sand, or blood. But it will not repeat lies and say “Yes” to invaders. It will continue to explode. It is neither death, nor suicide. It is Gaza’s way of declaring that it deserves to live. It will continue to explode. It is neither death, nor suicide. It is Gaza’s way of declaring that it deserves to live. Categories: BDS, Boycott, crimes against humanity, Gaza, Israel, military attack, Palestine, Resistance, Uncategorized, war crimes | Tags: Ethnic cleansing, Gaza City, Hayrat al-`A’id, IDF, Israeli occupation, Mahmoud Darwish, Operation Protective Edge, poetry, resistance, Shujaiyya, Sinan Antoon, The Returnee’s Perplexity, war crimes | Permalink.